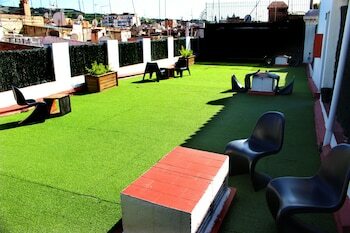 A stay at Hostal Raval Rooms places you in the heart of Barcelona, within a 10-minute walk of Las Ramblas and Gran Teatre del Liceu. Featured amenities include dry cleaning/laundry services, a 24-hour front desk, and luggage storage. With a stay at Villa Nautilus in Sitges, you'll be near the beach and minutes from Sanctuary of Vinyet, and close to Sausalito Beach. Free self parking is available onsite.